My daughter loves dosa without the potato filling. When we eat out this filling has chilli and is spicy. So plain dosa is her all time favorite. And I end up eating idlis. 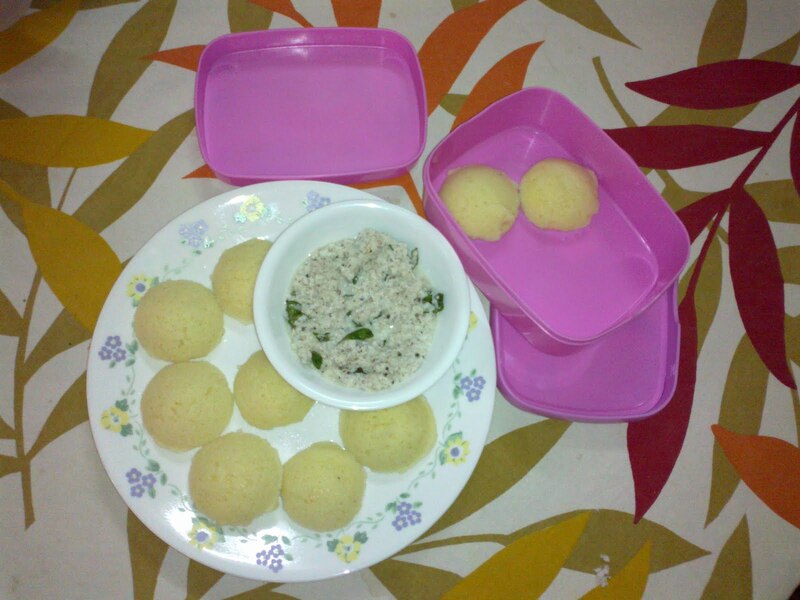 Since we bought our microwave after marriage and my never ending cooking experiments started,which my husband always encouraged, I have made idlis pretty regularly. Sometimes its breakfast, sometimes dinner and it never fails to make my family happy. You may try this for your kiddo’s breakfast on Sundays since it tastes best when warm. It needs about a cup of sooji (semolina), 1 bowl of curd and fruit salt. Add curd to sooji gradually so that u get a semi solid consistency just like your rice - dal batter of idli. Whip it to avoid lumps. To this batter add a pinch of fruit salt (Eno) and stir well. Slightly grease the idli maker depressions with oil. 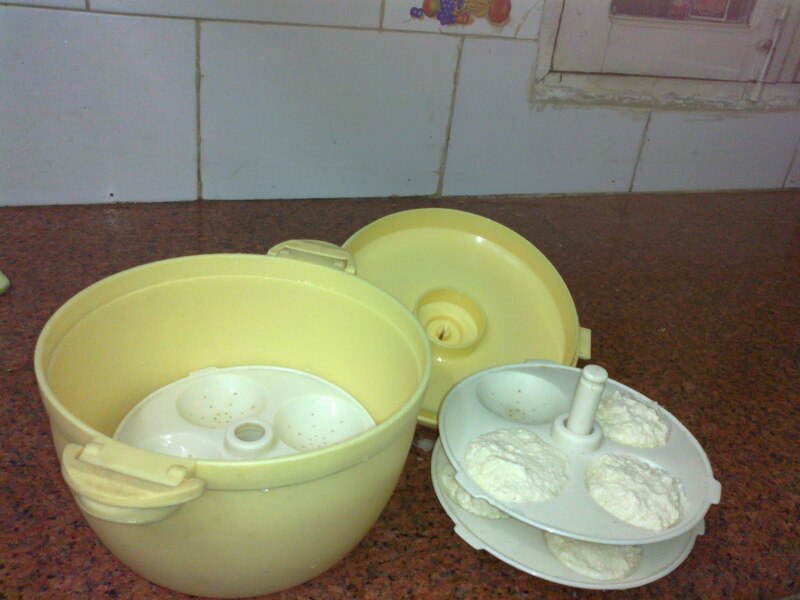 Transfer batter to these depressions in the idli maker and close the lid of the maker. I don’t lock it completely, just put the lid. 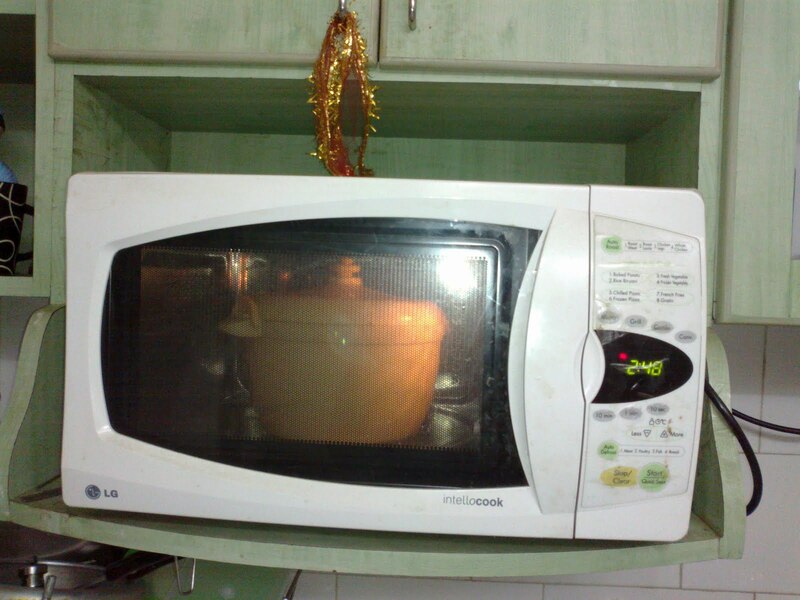 Power 60% in Microwave mode, cook for 5-6 minutes. It is done. You may serve it with coconut chutney, sambhar. My daughter prefers it with butter. Try it people, its oil free and sumptuous. Thanks all! Do lemme how it turned out know when any one of u tries. linked in profile in the name of Nidhi Shukla Pandey. Would be glad to connect! Me too experimenting with blog template n settings n layout Do visit! Thanks Nidhi. I like your blog template. Thanks for visiting! However, i dont use Linkedin or Fb or twitter. Sounds archaic but that's how i like it!